For the Ecuadorian football club, see Club Deportivo Universidad Católica (Ecuador). Club Deportivo Universidad Católica is a professional football club based in Santiago, Chile, which plays in the Primera División, the top flight of Chilean football. The Chilean football league system, called the Campeonatos Nacionales de Fútbol en Chile or Liga Chilena de Fútbol in Spanish, is a series of interconnected leagues for football clubs in Chile. Universidad Católica is one of the most successful and popular Chilean football clubs and considered one of Chile's "Big Three". Its traditional rival is Universidad de Chile. They contest the Clásico Universitario. Colo-Colo is the other big rival of the club. Club Universidad de Chile is a professional football club based in Santiago, Chile, that plays in the Primera División. 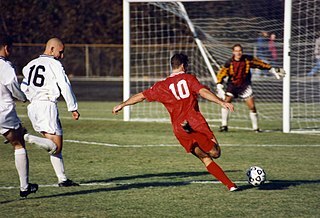 The Clásico Universitario is one of the most important rivalries of Chilean soccer and refers to any match contested between Universidad Católica and Universidad de Chile. This clásico (derby) has been recognized by FIFA as the most traditional of Chile. It is the oldest confrontation between two clubs from academic roots, as the first confrontation goes back to the University Classic of 1909. These two teams have played twenty championship definitions against each other, Universidad Católica has won thirteen and Universidad de Chile six. Club Social y Deportivo Colo-Colo is a Chilean football club based in Macul, Santiago. Founded in 1925 by David Arellano and Guido Torres Henríquez, they play in the Chilean Primera División, from which they have never been relegated. The team has played its home games at Estadio Monumental David Arellano since 1989. Colo-Colo is regarded as the most successful club of Chilean football. The Universidad Católica has attained fame as a favorite of the higher classes, because of many factors, which range from the location of the club's stadium, San Carlos de Apoquindo (in one of the most exclusive neighborhoods of the capital) and Headquarters, although there are "UC" fans all around the country, including popular regions or towns. For this reason, is planned to build a new stadium in a more popular place of Santiago. Due to the neighborhood's strong influence (wealthy families), the club has been unable to be approved for projects to enlarge the stadium and thus draw larger crowds. Only until in recent years the club was allowed by the commune of Las Condes, to host their clasicos matches against Universidad de Chile and Colo-Colo in their own stadium. Although just a limited number of its rivals' supporters are allowed to be present at these matches due to security reasons inside the stadium and around its high-end neighborhood. The club has reached notoriety, both in a national and South American level, as the owner of one of the best infrastructures and training centers in the continent. As such, it is a good source of young talents, which occasionally rise to stardom in the club. Its most recent youth academy produced player known worldwide is Gary Medel, currently playing for Turkish side Beşiktaş J.K., among other clubs such as Boca Juniors, Sevilla and Internazionale, as well as playing a big role in Chile's 2010 and 2014 World Cup squads. Gary Alexis Medel Soto is a Chilean professional footballer who plays for Turkish club Beşiktaş as a defensive midfielder. However, he can also play as a defender, and has even been deployed as a centre-back throughout his career, as well as in midfield. Due to his work-rate, physicality, tenacity, tactical intelligence, and his aggressive, hard-tackling style of play, as well as his leadership on the pitch, he is nicknamed the Pitbull. In 2015, manager Roberto Mancini, described Medel as a warrior. Beşiktaş Jimnastik Kulübü, also known simply as Beşiktaş, is a Turkish sports club founded in 1903, and based in the Beşiktaş district of Istanbul, Turkey. São Paulo Futebol Clube, simply known as São Paulo, is a professional football club based in São Paulo, Brazil. The club plays in the Paulistão, as well as the Brasileirão. In recent years,[ when? ] the club has been reemerged in international competition, advancing to the 2005 Copa Sudamericana semifinal before being knocked out by the powerful Boca Juniors from Argentina, who would go on to win the tournament. In 2006 the team made a good presentation in the Copa Libertadores, but was eliminated at the last minute by Tigres UANL of Mexico and failed to advance beyond the group stage. Universidad Católica did not qualify for the 2007 Copa Libertadores. Católica again played Copa Libertadores in 2008 with no luck, being eliminated in the group stage by goal difference by River Plate and América. In 2010, their performance was no better, finishing third in group stage behind Universidad de Chile and Flamengo. In the 2011 edition, Católica finished first on the round robin, and then advanced to the quarter-finals, knocking out Grêmio of Brazil on the best 16 round, and falling to Peñarol of Uruguay 2–0 in Montevideo and winning their home match 2–1, which was not enough to advance. In 2012 the club, under coach and former player Mario Lepe, finished last on the group stage, winning only 1 home game and losing on their away games in Colombia and Bolivia. The Chilean Football Federation rules allow a maximum of seven foreign players per team, but only five can be on the pitch at any one time. Currently, Católica has six foreign players. Club Unión Española S.A.D.P is a professional Chilean football based in Independencia, Santiago de Chile. Founded by Spanish immigrants on May 18, 1897, Unión Española have participated in the top-tier of Chilean football for all of their existence, except two seasons. 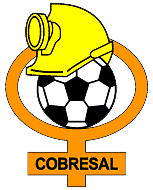 Club de Deportes Cobresal or simply Cobresal, is a Chilean football club based in El Salvador, Atacama, a Chilean mining camp, and participates in Campeonato Nacional. The team was founded on 5 May 1979, and the name of the club comes from the local copper mine establishment. Since its inception, the club has played its home games at the El Cobre Stadium, which has a capacity of approximately 12,000, which is more than the entire population of the village. Club Deportivo Universidad de Concepción also known as Universidad de Concepción, are a Chilean football club based in Concepción, that is a current member of the Campeonato Nacional. The club's home stadium is the Estadio Ester Roa de Concepción, that has a 30,480 spectators capacity. Everton de Viña del Mar is a Chilean football club based in the city of Viña del Mar. Audax Club Sportivo Italiano is a Chilean football club based in La Florida. Founded in 1910, it plays in the Campeonato Nacional and has spent most of its history in the top tier of Chilean football. Audax has been national champions four times, joint sixth alongside Magallanes. The club also achieved two Copa Chile runners-up in 1981 and 1988. O'Higgins Fútbol Club also known as O'Higgins de Rancagua, is a Chilean football club based in Rancagua, that is a current member of the Campeonato Nacional. The club's home stadium is the Estadio El Teniente, opened in 1945 and renovated for the 2015 Copa América, which was hosted by Chile. Manuel Alejandro Neira Díaz is a retired Chilean football player who played as a striker. Humberto Andrés Suazo Pontivo, nicknamed Chupete, is a Chilean professional footballer. In 2006, he was awarded by IFFHS as the world's top goal scorer of the year. After winning the Apertura 2007 with Colo Colo, he moved to Liga MX club CF Monterrey, where he became the club's all-time top scorer as well as winning two Liga MX titles, three CONCACAF Champions League titles, and one InterLiga. He returned to Colo-Colo in 2015 after 7 years with Monterrey. Deportivo Ñublense S.D.A.P is a professional football team based in Chillán, Ñuble Province, Chile. The club was formed in 1916 under the name of Liceo Fútbol Club. They compete in Chile's Primera B league. Club de Deportes Iquique S.A.D.P. is a Chilean football club based in Iquique that is a current member of the Campeonato Nacional. Founded in 1978, the club's home stadium is the Estadio Municipal de Cavancha, which has a 3,500 capacity. The Copa Chile is an annual cup competition for Chilean football teams. Due to time constraints and club pressure, the trophy was cancelled in 2000, but returned in 2008. Its precursor was the Campeonato de Apertura, played from 1933 to 1950. Roberto Carlos Gutiérrez Gamboa is a Chilean footballer who plays as a Striker for Palestino in the Primera División de Chile. He has played in his country and Mexico in his years as professional players. Hans Alexis Martínez Cabrera is a Chilean footballer who plays for Universidad de Concepción. Mainly a central defender, he can also play as a left back or defensive midfielder. José Pedro Fuenzalida Gana is a Chilean footballer who currently plays as forward for Universidad Católica of Chile. Jaime Augusto Pizarro Herrera is a retired football player who played 53 times for the Chile national team between 1987 and 1993. He currently serves as Sub-secretary of the National Institute of Sports of the government of Michelle Bachelet. At club level, he played as a midfielder, principally for the Chilean club Colo-Colo, the team where he was crowned champion both as a player and as a coach. Paulo Andrés Garcés Contreras is a Chilean footballer who as of 2015 played for Primera División club Deportes Antofagasta as a goalkeeper. Charles Mariano Aránguiz Sandoval is a Chilean professional footballer who plays as a midfielder for German club Bayer Leverkusen and the Chile national team. The 2015 Torneo Clausura was the 2014–15 Campeonato Nacional season second and last tournament. The defending champion was Universidad de Chile which reached the 2014 Torneo Apertura. The 2017 Campeonato Nacional season, known as Campeonato Nacional de Transición Scotiabank 2017 for sponsorship purposes, was the 87th season of top-flight football in Chile. Colo-Colo won their thirty-second title following a 3–0 away win at Huachipato on 9 December. Universidad de Chile were the defending champions. ↑ "Chilean Clubs - Friendly Matches 1991-2001". www.rsssf.com. Retrieved 29 January 2019. Wikimedia Commons has media related to Club Deportivo Universidad Católica . It covers the Apertura and Clausura tournaments (short tournaments) into a single-year season.